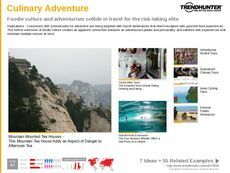 Find Better Ideas, Faster ® with a custom mediterranean food trend report, our PRO Dashboard and 80+ categories of premium trend reports. 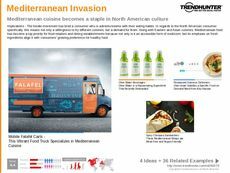 The Mediterranean Food Trend Report explores a wide variety of food-related trends inspired by the many unique types of cuisines available from regions that call the Mediterranean Sea home. 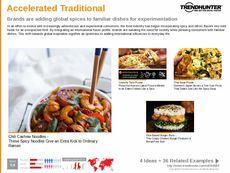 Our data tracks consumer interest for Mediterranean dishes and ingredients across a wide variety of platforms, including grocery stores, take-home meals, QSRs and upscale restaurants. 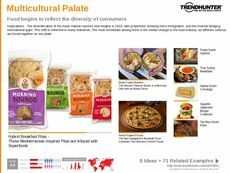 This report is an informative learning tool capable of educating readers about new and exciting trends related to Mediterranean-inspired dishes and ingredients. 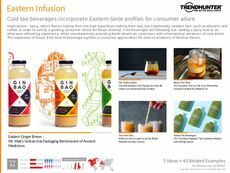 Professionals working in the food and restaurant industries on many levels will be able to discover new takes on classic dishes, and identify which emerging patterns are currently resonating with the consumer market. 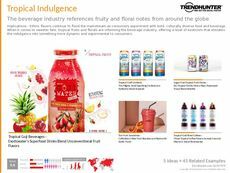 Use Trend Hunter's Mediterranean Food Trend Report to kickstart inspiration and take your culinary skills in a new and exciting direction.